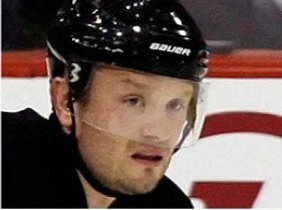 I have been waiting to weigh in on the Sergei Gonchar/Dan Hamhuis situation. Every time I started to write a blog about the situation my thoughts would start to change based on some nugget of information or some comment from the peanut gallery. 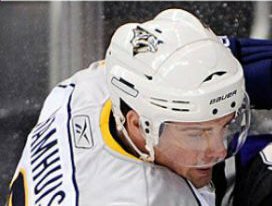 I have been waiting to weigh in on the Sergei Gonchar/Dan Hamhuis situation. Every time I started to write a blog about the situation my thoughts would start to change based on some nugget of information or some comment from the peanut gallery. As we enter the eve of what could be the end of both players’ time in the organization I figured I had better deliver my thoughts while there was still time. Sure it would hurt to lose Sarge after he has worked himself into our good graces, but that is what happens in a salary cap world. Sometimes, even when the player is willing to take a bit of a discount, it isn’t enough to fit into the team’s budget. 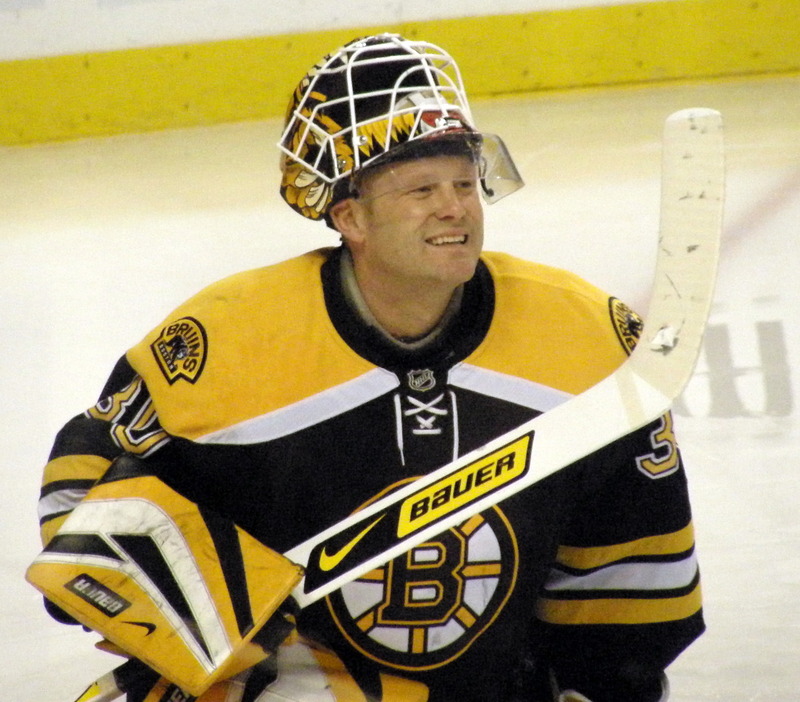 If this is really about years, as I speculate that it is based on what I have heard, I am not spiting Gonchar at all. When you are in the twilight of your career you are hoping to get some security. You want to know that you will have a job a few years down the line. There are two options…either the team needs to up the dollars over the shorter deal or the player has to take less in exchange for an extra year. Neither side seems to be willing to do that…ask Jarkko Ruutu how holding out for a third year in a negotiation with Shero turned out for him. Dan Hamhuis has done Shero a solid in at least considering Pittsburgh as a viable option. 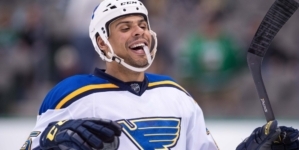 That is more than Paul Holmgren and the Flyers can say… Hamhuis very well may end up signing in Pittsburgh, but I cannot blame him for at least waiting until Thursday afternoon to do so. I would have no problem with Dan Hamhuis putting himself on the market for a day just to see what is out there. It could be the kid’s only chance to call the shots on where he lands and to get the biggest payday of his life in the process. 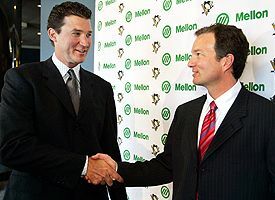 Once he sees what is out there, the intangibles will come into play… who gives him the best chance to win, who will provide him with the best situation for playing time, the best facilities, the best everything… and that is when Shero’s extra could pay off. If he opts to leave? 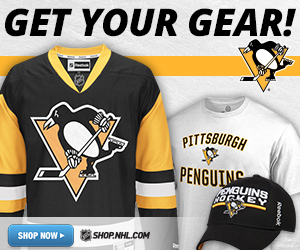 So be it… it cost you a 3rd round pick that wouldn’t have any impact in Pittsburgh for at least 4 to 5 years. I really don’t understand the Shero bashing that has gone on for the past couple of days. He has done nothing over the past three seasons but help this team to two Stanley Cup Finals, winning one cup along the way. He is being a tough negotiator with Gonchar, but he has to be. 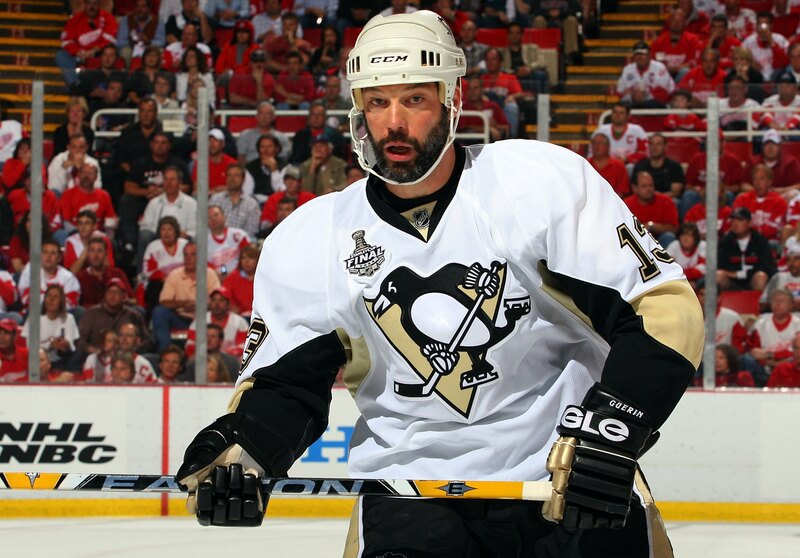 He has a plenty of spots to fill and can’t afford to tie up the dollars that it will take to meet Gonchar’s demands. This situation is one in which the player has to decide how far he is willing to bend. Shero did the right thing in acquiring Hamhuis’s rights as well. He went hard after a player that he was sure to pursue on July 1st anyway… he bought himself 4 extra days to sell Hamhuis on Pittsburgh without having another GM whispering in his other ear. The move also put pressure on Gonchar’s camp to start thinking about making some concessions. From what I understand, Hamhuis is at least intrigued by the situation in Pittsburgh…that intrigue would never have been created without trading for his rights. Sure it was a risk, albeit a minor one… anyone complaining about the third round pick should chill out a bit. That third round pick wouldn’t feasibly make a splash in the organization for at least 5 years from today, maybe not at all. It was a good move. Yes there is a chance that Ray could lose both of these fish, but it is worth noting that there are a handful of pretty attractive blue liners hitting the market tomorrow at noon. Ray will not stand pat waiting around for these two guys…he will jump into the ring with some of the others… If Sarge or Hammy come back later, so be it… it will be them who is taking the chance if they ultimately want to play here as Shero might just have spent the money earmarked for them. To be honest, I am more concerned about losing a player like Mark Eaton, who has been a very steady soldier for the Penguins over the past 4 seasons. Yes his first two years was marred by injuries, but his last two have shown him to be one of the most consistent blue liners on the team. Depending on how tomorrow shakes out; he is a player that Shero might regret losing. In looking at some of the other Penguins who are seemingly going to hit the market tomorrow afternoon, there are a few that I can’t believe haven’t re-upped as of yet. Based on conversations with Bill Guerin during the season and during the final media availability, I am shocked that he hasn’t signed. He made it known that he wanted to play another season and that he wanted it to be here… Sidney Crosby echoed the sentiment, saying that he thought he would be back for at least one more… Sadly, this one looks like it will come down to nothing but money. 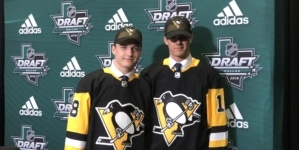 Here’s hoping for a last minute signing for Billy G. He just fits here…he has been very important to Sidney Crosby’s growth as a captain in the National Hockey League. I will not go as far as to say he was an acting captain, because that isn’t how it was, but he helped Sid grow into the role — especially during the Stanley Cup run two seasons ago. 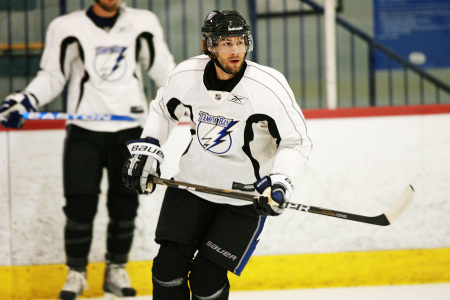 I wouldn’t be shocked to see Jordan Leopold signed before noon tomorrow. Each time I spoke with him, he was very happy with being traded to Pittsburgh. He liked the system and he felt that he could produce on each end of the ice in it. 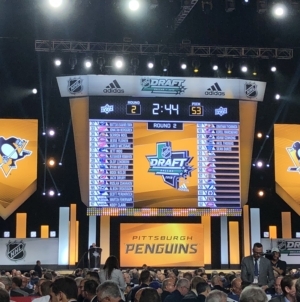 Shero always seems to make a quick signing right after the bell rings, two years ago it was Dupuis’s extension, last year it was Mike Rupp… this year it could be Leo. Obviously Shero has allowed Jay Mckee, Ruslan Fedotenko, and Alexei Ponikarovsky to walk… none of which is a big surprise. I did get the impression that McKee could be an option down the line if the two sides are still in the market a little later in the month. In fact, I think McKee would love to stay with the team, but the biggest issue moving forward is playing time. I expect to be chatting with Jay during his free agent process and will share news as I get it. I completely agree about Shero. People seem to have very short memories or maybe it’s attention spans! 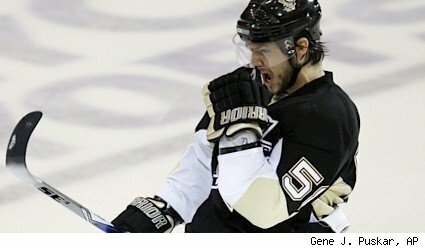 I love Shero and the job he has done for the Pens. Looking back… Conklin, Sykora, Eaton, Cooke, Rupp, Ruutu, Brent Johnson have all been nice free agent acquisitions. He also did a decent job by grabbing Satan and Fedotenko who both played a part in a Stanley Cup Championship after he was left high and dry by Hossa. I understand your frustration, but this is actually his first big test. He has done a nice job of plugging holes to this point. Tough to make an argument to the contrary. My only problem with Shero is the 3rd rounder for 5 days of Hamhuis. I think it was a dumb move. It would be the worst decision of Hamhuis’ life to not hit the market, Shero knows this. We spent a 3rd rounder for 5 days of extra talk time when with 24 hours to go till the deadline they have not even exchanged ideas on deals? It he lands in Philly after all of this Shero will have serious egg on his face. it’s one of the biggest gambles with no payoff I’ve seen the guy take and it’s not like him. It’s easy to say “we won’t see that guy from that pick till 2013”. Tell me that in 2013. 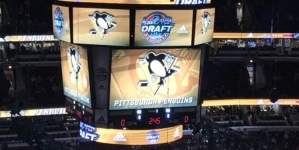 If Hamhuis goes somewhere else, it’s not a great deal… The 3rd round has been good for the Pens in recent years, but we have a while before the 2011 draft, so Shero could easily make that pick up between now and then. If he signs here, it’s a great move. Even if he tests the open market, if Shero’s numbers fit in the range he’s getting, the extra days of conversations may help land him here. But if someone throws $5 mil at him, then Hamhuis isn’t getting close to that here. I have trouble bashing Shero… he’s RARELY made a bad move while here. And while he hasn’t made many big splashes in FA, he’s pieced together decent rosters over the years (look what he did in the 2008 offseason after losing big players). The crop of free agents haven’t been great, and A LOT of teams overpay this time of year. Shero hasn’t overpaid or gone nuts on term for players who usually don’t warrant it. We can be happy that he will never make Wade Redden/Jeff Finger-type panic deals. I am not quite ready to throw Shero under the bus yet. His plan has always been to build through the middle from goal to goal. To date, he has done that and won a Stanley Cup in the process. He has locked down a solid core of players and has to plug holes as needed. The only instance of the Salary Cap being a burden happened to be addressed by Miro Satan taking a demotion to the AHL, then being brought back for a Stanley Cup run. Saying the GMRS over paid with a 3rd rounder just to talk to Hamhuis is silly. Look at the Hossa deal, Shero gave up 3 1st rounders and a 3rd for a rental. Did we get close to a Stanley Cup? Sure then we watched Hossa leave for a “better shot at the Cup”. In hindsight, you can say that those Pitt players wouldn’t have panned out but Armstrong and Christensen played under Therrien’s defense first system vs Bylsma’s more offensively aggressive one. Of all of the FA pick-ups that GMRS has signed, they all at one time or another have produced at critical times or took the proverbial “one” for the team. I don’t mind any of the character players that were brought in, even when I’ve been critical of them at times. My faith is in Ray Shero today.